The conflict between Palestinian Arabs and Israelis is a modern phenomenon, which began around the turn of the 20th century. The views of the opposing sides are generally very polarised and many historical events continue to be the subject of argument, which can be very off-putting for anyone who is just beginning to find out about the issues. In a way, we could talk about there being an ‘Israeli narrative’ and a ‘Palestinian narrative’ – re presenting the different perspectives on the conflict – but as you learn more about the conflict, you will also learn that there are different views amongst both Israelis and Palestinians. Sometimes the conflict is referred to as the Israeli-Palestinian conflict and sometimes the Arab-Israeli conflict. Here, we will focus on the Palestinian aspects. But what happens in Israel/Palestine has repercussions in the whole of the Arab world. Armed conflict associated with Israel has been particularly severe in Lebanon. The conflict is often presented as a religious one fuelled by religious hatred. But it is better understood as a conflict rooted in politics not religion. A central part of this politics is competing claims over land. Until 1948, the area that both groups claimed was known as Palestine. But this all changed in 1948 when the land was divided into three parts: Israel, the West Bank and the Gaza Strip. approximately 10,000 square miles, or about the size of Wales! Yet the events on this tiny bit of land have a massive impact not onl on the Middle East region but on world affairs. Palestinians’ claims to the land are based on continuous residence in the country for centuries and the fact that they were the majority. They reject the idea that a kingdom in biblical times can be the basis for a valid modern claim. They do not believe they should give up their land and homes to compensate Jews for Europe’s crimes against them. Jewish claims to the land are based on the biblical promise to Abraham and his descendants and on the fact that this was the historical site of the Jewish kingdom of Israel (which was destroyed by the Roman Empire). They see a homeland for the Jews as the only possible haven from European anti-Semitism. Zionism is a modern political movement. Its central belief is that there should be a homeland for the Jewish people in the land of Israel. Therefore it conceives of Jewish people not simply as sharing a religious or ethnic identity, but as a national group entitled to their own state. Zionism was born as a reaction to European anti-Semitism. Theodor Herzl, considered the founder of modern Zionism, argued that the only way for Jews to be free from European anti-Semitism and for them to be able to create their own destiny was if they had a state. It was the Holocaust – the mass extermination of Jews on European soil – that enhanced support amongst Jews and internationally for the idea of a Jewish state. Zionism is a secular ie non-religious movement, but it does draw on Jewish religious attachment to Jerusalem and the Land of Israel and an idea that the Jews were returning to Israel after a 2000 year absence. But the politics of Zionism was mainly influenced by nationalist and colonial ideas about Europeans’ right to claim and settle other parts of the world. “A land without a people for a people without a land” was a key Zionist slogan. What problems are there with this slogan? Was it really a land without a people? What was the land called and who were the people? Ignoring the Palestinians in Palestine meant the Zionists were denying reality or saying that Palestinians did not really matter… What do you think? Britain as a world power: contradictory promises? During the First World War, McMahon, the British High Commissioner in Egypt tried to encourage an Arab revolt against the Ottoman Empire which ruled over large parts of the Arab world and was aligned with Germany against Britain and France in the war. In a series of ten letters from 1915 to 1916 with Ali Ibn Husain, Sherif of Mecca, McMahon promised that if the Arabs supported Britain in the war and Hussein led an Arab revolt, the British government would support the independence of what would later be called Palestine, Transjordan, Syria and Iraq. But Britain made other promises during the war that conflicted with the Hussein-McMahon understandings. In 1917, the British Foreign Minister, Lord Arthur Balfour, issued a declaration (the Balfour Declaration) announcing his government’s support for the establishment of a Jewish national home in Palestine. A third promise, in the form of a secret agreement, was a deal that Britain and France struck between themselves to carve up the Arab provinces of the Ottoman Empire and divide control of the region. After the first world war, Britain and France convinced the new League of Nations (which was the forerunner to the United Nations) to give them territories as mandates. The idea was that Britain and France would administer these areas until the people there were ready to rule themselves. Britain obtained a mandate over the areas which are now Israel, the West Bank, the Gaza Strip and Jordan. The number of Jews moving to Palestine sharply increased. Some went as part of a belief in establishing a Jewish homeland and others went to escape anti-Semitic persecution. Many countries including Britain restricted the number of Jews allowed in when the Nazis came to power in Germany in 1933 and this had a major impact on Palestine. stinian peasants, journalists and political figures. Palestinian resistance to British control and Zionist settlement climaxed with the largely peaceful Arab revolt of 1936-39 which was brutally suppressed. In an effort to maintain order in an increasingly tense environment, the British tried to limit future Jewish immigration and land purchases. The Zionists regarded this as a betrayal, and the British-Zionist alliance came to an end. Following World War II, with escalating hostilities between Palestinians and Zionists over the fate of Palestine and between the Zionist militias and the British army, Britain requested that the recently established United Nations determine the future of Palestine. The UN General Assembly passed Resolution 181 in 1947 which would partition Palestine into two states, one Jewish and the other Arab, with the area of Jerusalem and Bethlehem as an international zone. The Zionist leadership publicly accepted the UN partition plan. The Palestinian Arabs and the surrounding Arab states rejected the UN plan. The plan proposed in Resolution 181 granted the Jewish minority more than 50% of the land though they made up just one third of the population and owned under 10% of the land. How practical was this proposed partition plan? What other alternatives were there? Should the Arabs have accepted the partition plan? 1948: The ‘Year of Independence’, or ‘the Catastrophe’? Israelis refer to the year 1948 as the ‘Year of Independence’. Palestinians refer to 1948 as ‘al nakba’, meaning ‘the disaster’ or ‘the catastrophe’. Fighting intensified between the Arab and Jewish residents of Palestine days after the adoption of the UN partition plan. The Arab military forces were poorly organised, trained and armed, in contrast to the Zionist military forces, which though numerically smaller, were well organised, trained and armed. On May 15, 1948, the British evacuated Palestine, and Zionist leaders proclaimed the state of Israel. Armies from the neighbouring Arab countries and Iraq entered Palestine, declaring that they were coming to the assistance of the Palestinians, but they were no match for Israel. The Palestinian Arab state envisioned by the UN partition plan was never established. In 1949, with the end of the war between Israel and the Arab states, the country once known as Palestine was divided into three parts. The State of Israel encompassed over 77 percent of the territory. (The land now incorporated into Israel which had not been allotted to it in the Partition Plan is shown on the map). Of the remainder of Palestine, the larger part—the West Bank—became part of Jordan and Egypt took over the administration of a small area on the Mediterrane an coast, the Gaza Strip. Over 750,000 Palestinians fled for their lives, leaving behind their homes and belongings and becoming refugees. Some Palestinians remained in the area that became the state of Israel in 1948. About a quarter of them were displaced from their homes and villages and became internally displaced persons as the Israeli army destroyed over 400 Arab villages. They were granted Israeli citizenship, and today there are 1.2 million Palestinian Arab citizens of Israel, making up about a fifth of the Israeli population. The state of Israel defines itself as both Jewish and democratic. Palestinians are not Jewish – they are are seen and treated as outsiders. The Israeli legal system discriminates against the Palestinian community. Government spending is much lower in Palestinian areas than Jewish areas. Arab Israeli towns and districts in Israel usually have far worse housing, public transport, education facilities, health care and general infrastructure than the national average. Much Arab land has been confiscated by the state and used for projects that primarily or exclusively benefit Jews. Now only 3.5% of Israeli land is under Arab ownership. Many of their homes have also been destroyed. As a consequence of the fighting in Palestine/Israel between 1947 and 1949, the majority of the Palestinian Arab population (750,000) became refugees. Who was responsible for the mass exodus of Palestinians and therefore the creation of the refugee problem is a key point of disagreement. Palestinians have claimed that most were expelled in accordance with a Zionist plan to rid the country of its non-Jewish inhabitants. There are several well-documented cases of mass expulsions during and after the military operations of 1948-49 and massacres and atrocities that led to large-scale Arab flight. The official Israeli position holds that the refugees fled on orders from Arab political and military leaders. But Israeli military intelligence documents show that at least 75 percent of the refugees left due to Zion-ist or Israeli military actions, psychological campaigns aimed at frighten-ing Arabs into leaving, and direct expulsions. 70% of Palestinians are refugees—which means that over one in three Palestinians is a refugee. There are over 4 million Palestinian refugees registered with the United Nations Relief Works Agency (UNRWA). 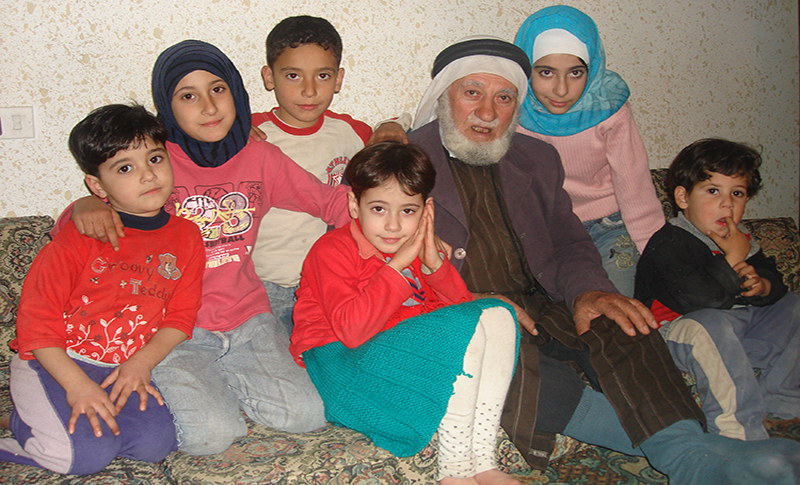 Palestinian refugees make up the world’s largest refugee population. Palestinians assert that they have a right to return to their homes. This right, known as the Right of Return, is denied by Israel. UN Resolution 194, passed by the General Assembly in 1948, upholds the right of all Palestinian refugees to return, and the righ of those who do not wish to do so to receive compensation. The General Assembly has reaffirmed 194 almost every year since 1948, and eight other UN resolutions have also expressed support for the Palestinian Right of Return. Major human rights instruments, including the Universal Declaration of Human Rights, the Fourth Geneva Convention, the Hague Convention, the International Covenant on Civil and Political Rights, and others all support the right to return & compensation. According to Resolution 194,the refugees wishing to return to their homes and live at peace with their neighbours should be permitted to do so at the earliest practicable date… compensation should be paid for the property of those choosing not to return. Israel’s Law of Return grants any Jew in the world, as well as those of Jewish heritage, the right to move to Israel and receive Israeli citizenship. Supporters of the Right of Return for Palestinians feel that it is grossly unfair that a Jew born in say America, France or Ethiopia has the right to immigrate to Israel, while a Palestinian expelled many years ago or born in a refugee camp is condemned to exile – often never to see their home again. Palestinian assertions of the Right of Return are based on a moral standpoint and on a legal perspective including a number of resolutions issued by the United Nations. Some of the refugees still retain old deeds and keys to their homes. and is adamant that Palestinians and their descendants cannot return. Israel was conceived of as a homeland for the Jews. If the right of return were granted, Jews in Israel would be outnumbered and it would cease to be a Jewish state, so many Israelis equate the Right of Return with Israel’s destruction. We will not repeat the mistake of the Israelis and make our existence in our land dependent on the non-existence of the people who are already living there. Israelis or Jews thought that their existence on the soil of Palestine meant the non-existence of the other. We do not wish to tell them to leave. In 1967, Israel declared war as a response to threats from Egyptian President Nasser. By the end of just six days Israel had captured the West Bank from Jordan, the Gaza Strip and the Sinai Peninsula from Egypt, and the Golan Heights from Syria. The Sinai was since handed back to Egypt, but to this day Israel is occupying the West Bank, Gaza Strip and the Golan Heights. Israel now controlled all of Historic Palestine, and established a military administration in the newly acquired West Bank and Gaza. There has always been argument over the meaning of the call for Israeli withdrawal from the occupied territories. The grammatical construction of the French version of Resolution 242 says Israel should withdraw from “the territories,” whereas the English version of the text calls for withdrawal from “territories.” (Both English and French are official languages of the UN.) Israel and the United States use the English version to argue that Israeli withdrawal from some, but not all, of the territory occupied in the 1967 war would satisfy the requirements of this resolution. In 1987, when the West Bank and Gaza Strip had been under Israeli occupation for 20 years, the Palestinian population in the West Bank and Gaza started a mass uprising against the Israeli occupation. This uprising or intifada (which means “shaking off” in Arabic) was a popular mobilisation—involving hundreds of thousands of people, many with no previous resistance experience, including children, teenagers and women. For the first few years, the intifada involved various forms of civil disobedience, including massive demonstrations, general strikes, refusal to pay taxes, boycotts of Israeli products, political graffiti and the establishment of underground schools (since regular schools were closed by the military as reprisals for the uprising). It also included stone throwing, Molotov cocktails and the erection of barricades to impede the movement of Israeli military forces. The intifada was a major turning point in the way in which the conflict was perceived in the West. During the uprising, there were many pictures in the press of unarmed Palestinians being very brutally treated by Israeli forces, inspiring international sympathy for Palestinians. International news coverage showed Israeli troops firing live ammunition and tear gas at stone-throwing protestors, soldiers beating up youths, and on one occasion, deliberately trying to break the bones of young prisoners with rocks. From 1987 to 1991 Israeli forces killed over 1,000 Palestinians, including over 200 under the age of sixteen. The intifada petered out in the 1990s. Until 1993, Israel rejected the establishment of a Palestinian state, insisting that Palestinians should be incorporated into the existing Arab states. This state of affairs ended when Israeli representatives entered into secret negotiations with the PLO, which led to the Oslo Declaration of Principles. The PLO or Palestinian Liberation Organisation was set up in the early 1960s, but this was the first time that Israel agreed to negotiate with them. As part of Oslo, the Palestinian Authority (PA) was formed with ‘self-governing’ powers in the parts of the Occupied Territories from which the Israeli army withdrew. In reality, they had power only in a small proportion of the territories, and nowhere did they have complete control. The Palestinians’ expectations were not met by the Oslo accords. The Oslo process required the Palestinians to make their principal compromises at the beginning, whereas Israel’s principal compromises were not to be made until the final status talks. What is it like to live under occupation? According to International law, however, as the occupying power, Israel is responsible for the welfare of the Palestinians in the occupied territories. Israeli policies and practices in the West Bank and Gaza have included extensive use of collective punishments such as curfews, house demolitions and closure of roads, schools and community institutions. Hundreds of Palestinian political activists have been deported, tens of thousands of acres of Palestinian land have been confiscated, and thousands of trees have been uprooted. Since 1967, over 300,000 Palestinians have been imprisoned without trial and torture of Palestinian prisoners has been a common practice since at least 1971. Settlements are communities for Jews only in the Occupied Palestinian Territories. The settlements are illegal under international law, but Israel continues to expand and consolidate the settlements in the West Bank. Some settlers are attracted by the promise of subsidised housing, others believe the land to be part of ‘Greater Israel’ granted by God to the Jews and refuse Palestinians’ right to exist there. The settlements have military and strategic value – they are often situated on hilltops, prized agricultural land and aquifers (vital underground water reserves). There are two sets of laws, one for the settlers and one for the Palestinians. Palestinians, who are subject to military law, are forbidden from entering or approaching Israeli settlements or using settlers’ roads. Water – settlers consume as much as ten times more water per person than Palestinians. Over 200 communities in the West Bank are not connected to a water network. Palestinians are allotted less than a fifth of the water. Palestinians accused of attacks against settlers are tried by Israeli military courts and receive harsh punishments. Israeli who destroy Palestinian property, assault or kill Palestinians often get off lightly if they are prosecuted at all. The settlements make a future Palestinian state in the Occupied Territories impossible. This idea that the occupied territories will become an independent Palestinian state is known as the two-state solution – and one that Israel says it supports. Various Palestinian, Israeli and International human rights organisations have argued that house demolitions are not absolutely necessary and therefore illegal under international law. Checkpoints are barriers run by the Israeli army which control the movement of Palestinians. The West Bank is criss-crossed by a web of checkpoints – over 540. Most checkpoints are within the West Bank not between it and Israel, splitting the area into separated islands. To get through the check- points you need a permit. The rules for acquiring permits are complicated and often change without warning – plus having a permit is never a guarantee that you will get through. Apart from this, there are many main roads – covering over 700km – which only Jews and a few others, but not Palestinians are allowed to use. In 2002, Israel starting building a barrier around the West Bank which actually cuts into the West Bank. The barrier, which is not yet complete, has already affected the lives of hundreds of thousands of Palestinians. The barrier encircles Palestinian towns and villages, separating communities and families from each other, farmers from their land, workers from their workplaces, students and teachers from education, and the sick from healthcare. The route of the barrier has been determined by the location of Israeli settlements in the West Bank – often leaving additional land around them so that they can expand. The wall was declared illegal by the International Court of Justice. Nevertheless, Israel is continuing to build it. The Al-Aqsa intifada began in September 2000 as a response to the continuation – and indeed deepening – of the occupation, and in opposition to what many felt was a deeply flawed “peace process” initiated at Oslo—a process which did not lessen the hardships for ordinary people. The second intifada was bloodier than the first. As in the previous intifada, Palestinians threw stones and Molotov cocktails at Israeli soldiers, who responded with rubber-coated steel bullets and live ammunition. But both sides employed greater force than in the first intifada. The IDF’s shelling of civilian neighbourhoods in the West Bank and Gaza, and the use of live ammunition to control demonstrations of unarmed Palestinians has led to several international human rights organisations condemning Israel’s use of excessive force. …So where are we now? In 2006, there were democratic elections in the Occupied Palestinian Territories. Hamas, an Islamic party, won. Hamas are not just a party but also a movement which have provided health and education services for ordinary Palestinians for many years. Hamas is less keen to compromise with Israel than the other main Palestinian party, Fatah, which has been in control of the Palestinian Authority because they have seen that Fatah’s compromises did not achieve much for Palestinians. to honour previous political agreements.